Are you confused or at a cross-roads regarding any career-related decisions? Etching out a career path that best suits your capabilities, interests, aspirations and personality is a life changing decision that needs to be made wisely and in an informed manner. At Z-Edge, we patiently lend an ear to your problems, confessions, preferences and personal opinion. After hearing you out, we quietly take a step forward and introduce you to your real self (personality), post which, we give you a wide variety of career options and ask your to chalk out your life yourself, wherein we at Z-edge via counselling, make you the author/writer of your own life. Career development is a process that starts the moment you are born and lasts an entire lifetime. Carving out a path for a successful career is influenced by a number of factors, like your aptitude, interests, personality, aspirations and goals, circumstances and background. 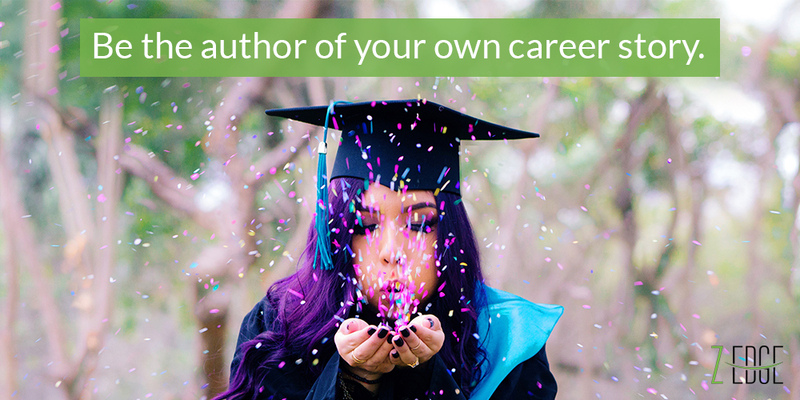 Career counseling will help you develop a broader understanding of your own self and about work and education, further helping you make informed educational, career and life decisions. Developing your career is not just about deciding what field you want to graduate in, or what job you want after your graduation. It is a process that lasts throughout your life, factoring in changes like your personality, change in circumstances, and through it all, you will have to make career and life decisions continuously. Career counseling aims at equipping you not only for making decisions in the present, but to give you the skills and understanding for your future decisions-making. Help you have a better understanding of your own self and what you are looking to achieve out of your education, career and life. Lend a keen ear to your thoughts, feelings, concerns and ideas about choices you would like to make about your career and education, and consequently, help you make sense of these feelings and thoughts by efficiently sorting and organizing them. Help you analyze your aptitude, values and interests and map it with your career goals and aspirations. Provide you much-needed help locating career related sources and resources. Provide a personalized plan or road-map on how to achieve your goals. Career counselling could be beneficial for anyone – an indecisive student who is just starting out in college, a freshmen, sophomore, junior or senior seeking guidance regarding how to proceed or change directions or even someone who is stuck in a rut at work and in desperate need of guidance. The earlier you seek help to make intentional, well-thought through decisions regarding your future, the better equipped you will be. It is a lifelong process, and we consider holding your hand while your write your book of life, to be the most suitable option. We do not believe in forcing the decision unto you, but having complete faith in your ability to take decisions wholly by yourself. Career counselling could starts from the tender age of 3 but the need of it is realized only during the turning points of one’s life. Usually, when one finds twists and turns at various points in their life, there is a disclaimer to ‘Go Slow’! Likewise, we put a disclaimer ‘Plan and write your turns in life with Z-Edge’, making them successful, informed and safe turns.